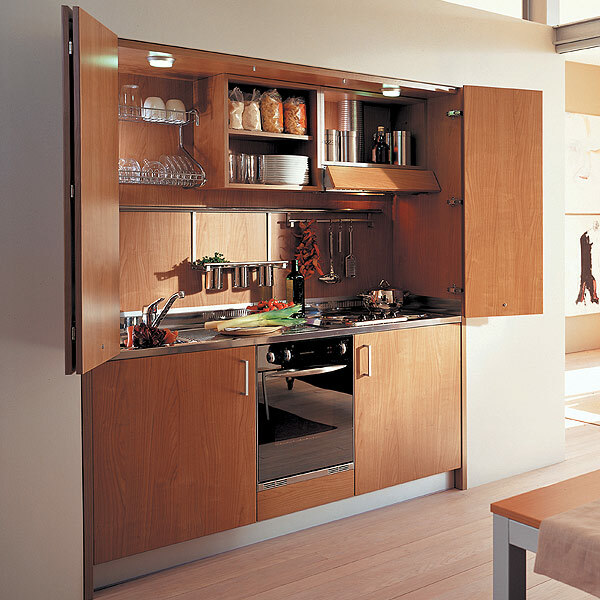 The focus of design. 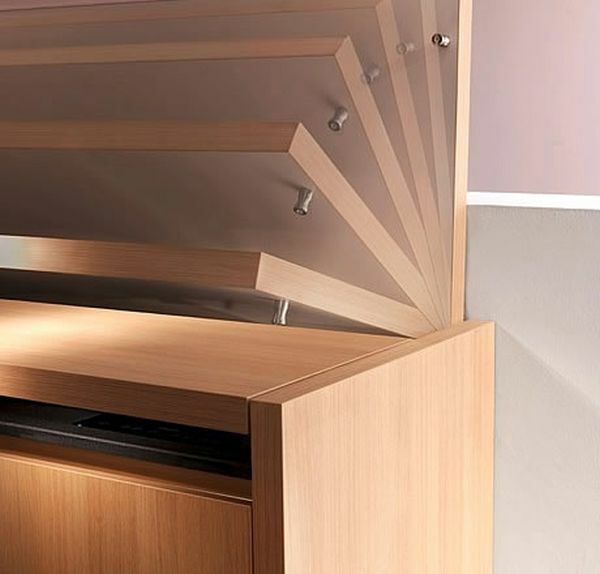 Thanks to its compactness and functionality, you will not only save a lot of space in the room, but also turn it into a practical and comfortable space. 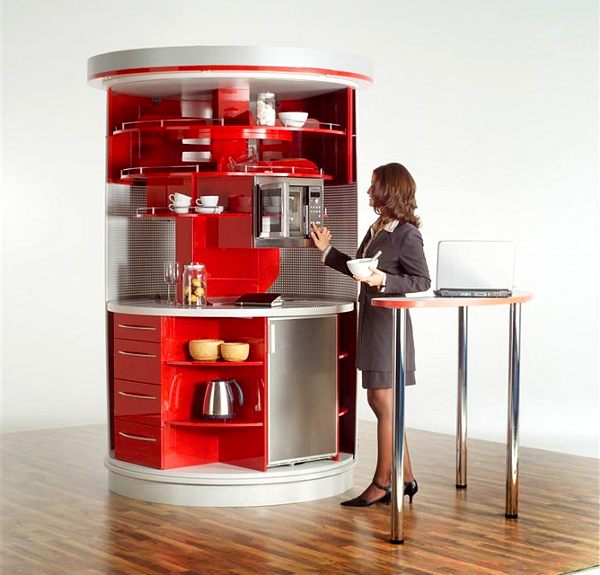 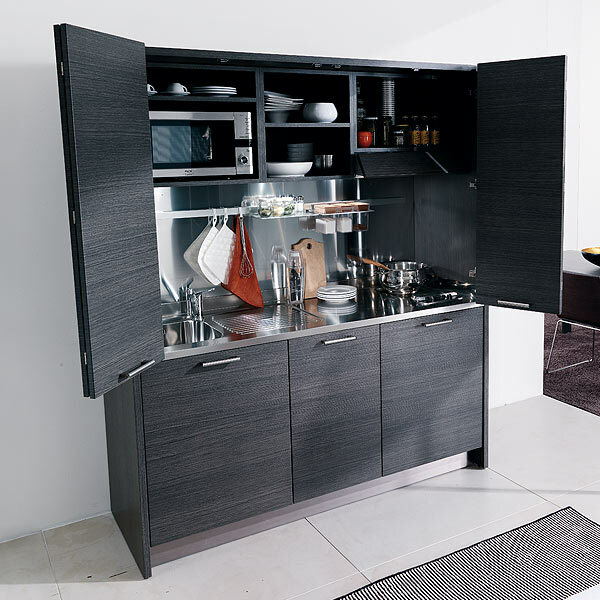 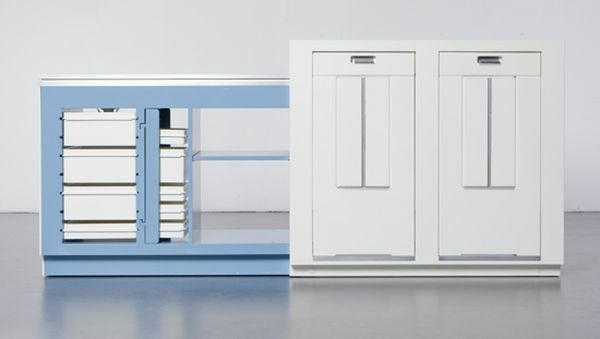 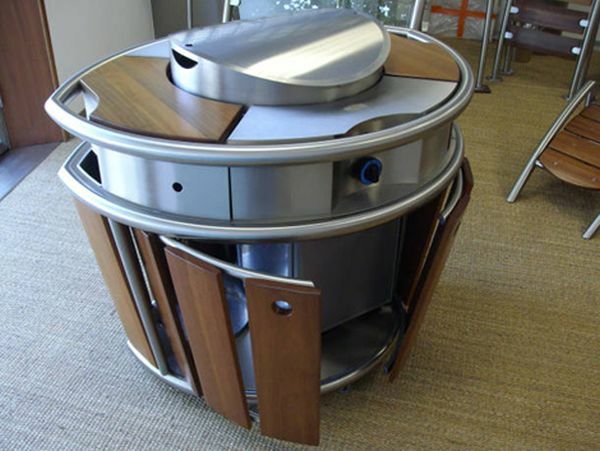 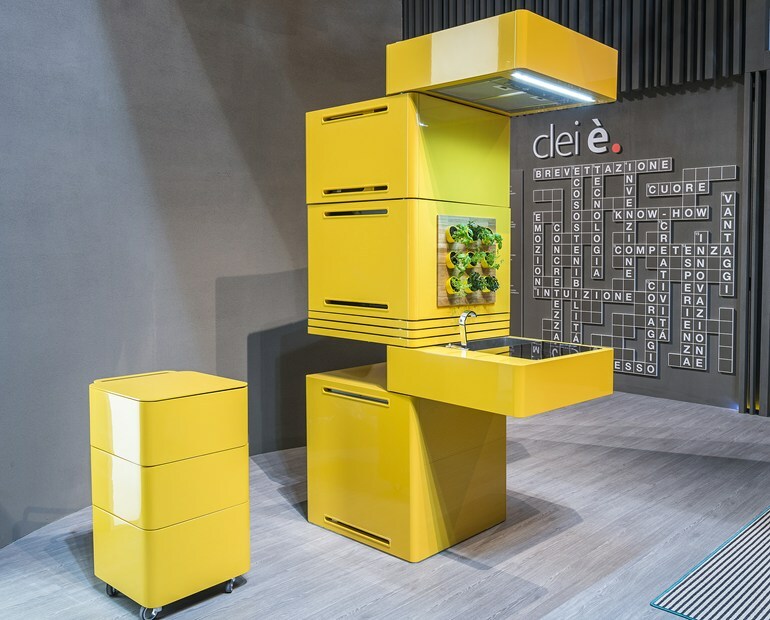 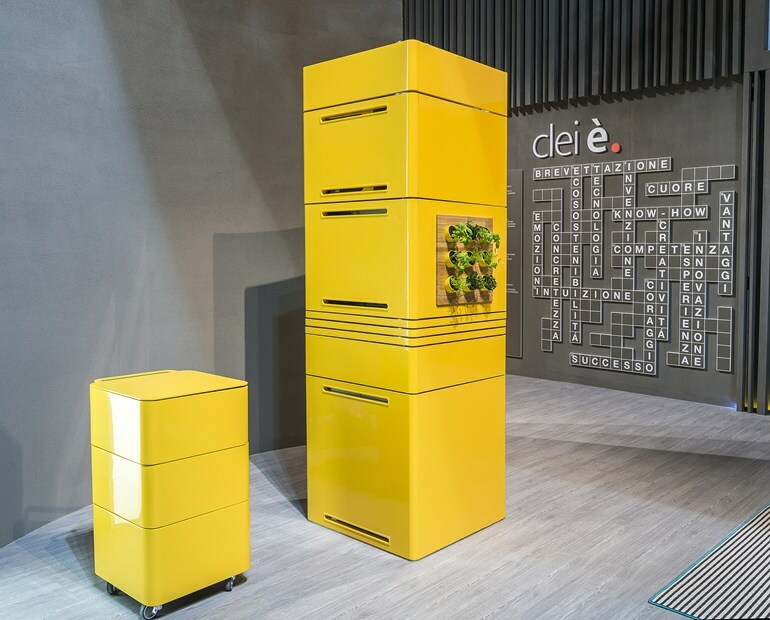 This incredible cabinet was created by the New Zealand company Compact Concepts. 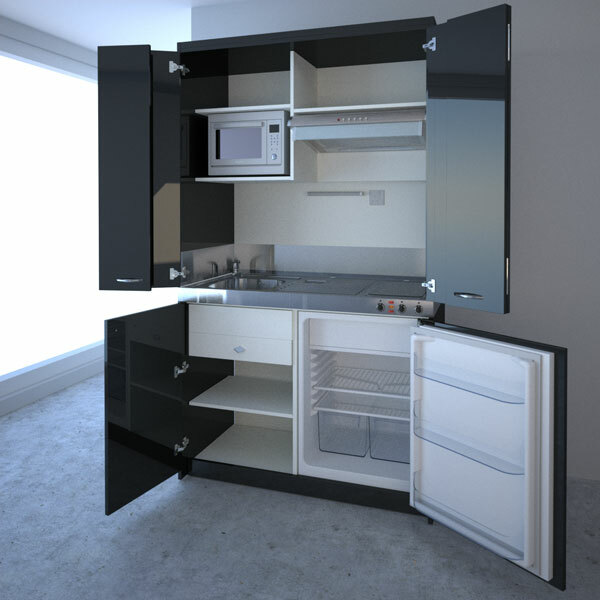 It takes only 1.8 square meters and includes everything you might need to prepare meals and drinks, namely, a refrigerator, a dishwasher, a sink, a microwave, a coffee maker and a stove. 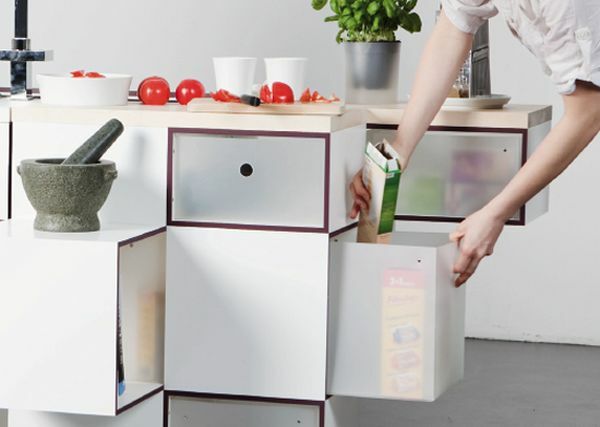 Miniki is ideal for smallapartments. 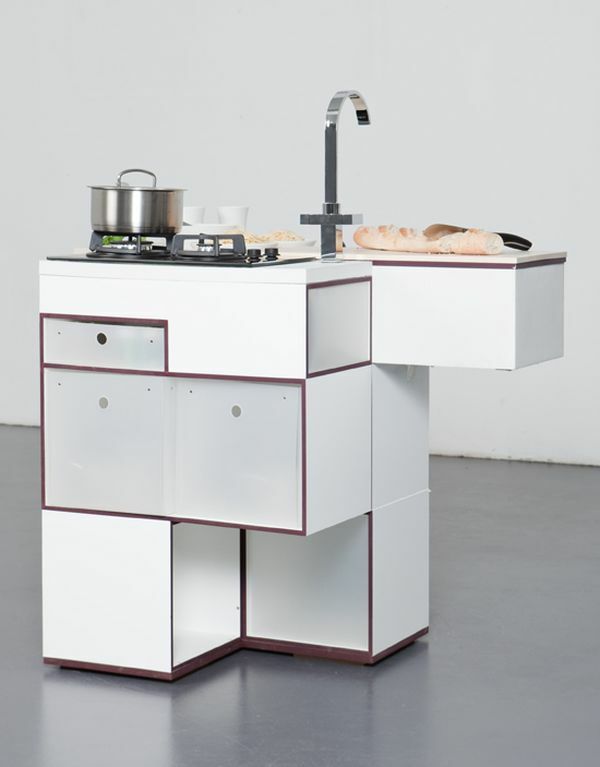 It is produced in three types, each of which is equipped differently. 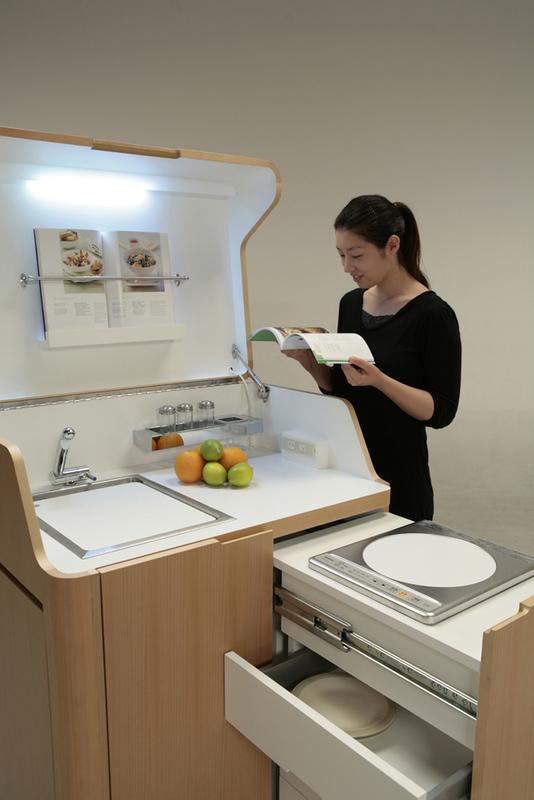 Therefore, you can choose what you need. 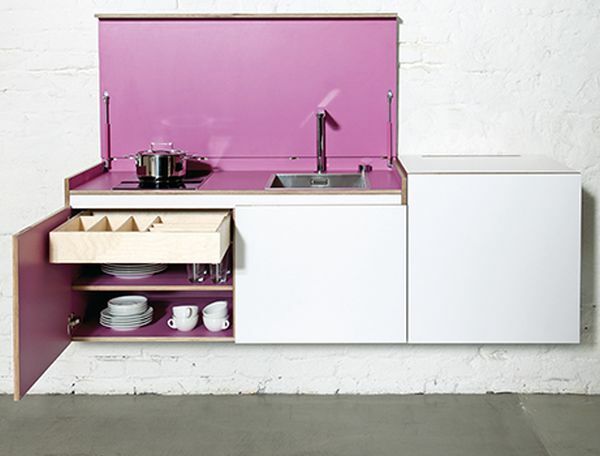 Bright colors make it more attractive. 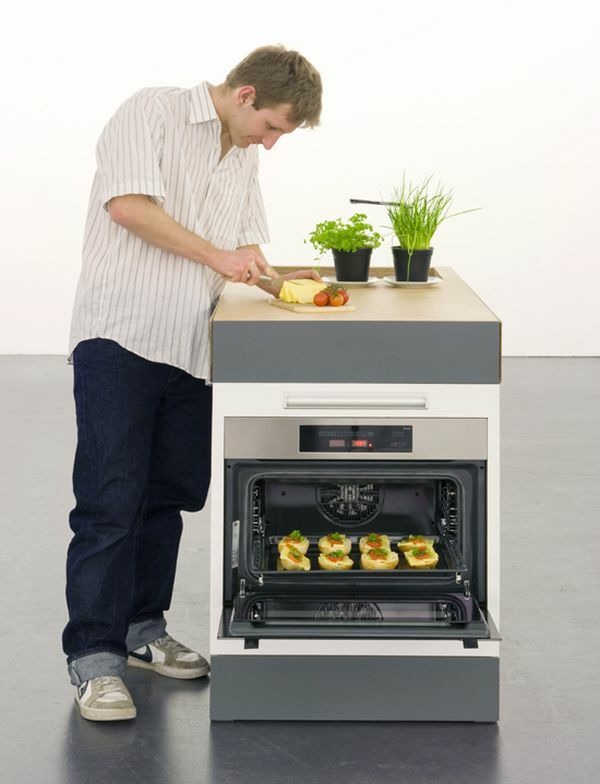 Kitchoo is an innovative cuisine. 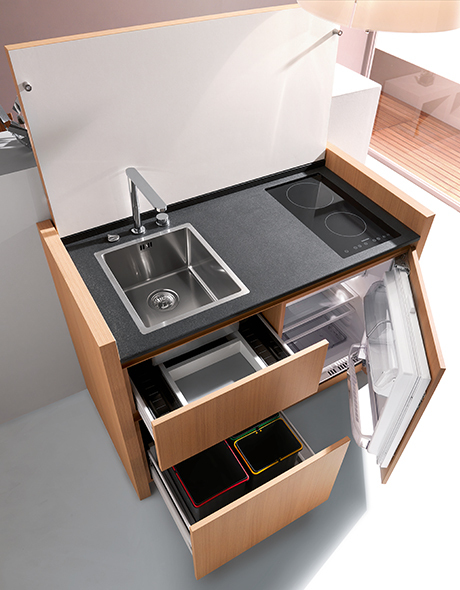 It includes a wooden case, a natural stone worktop, two burners, a washbasin with a telescopic faucet, a refrigerator and large drawers. 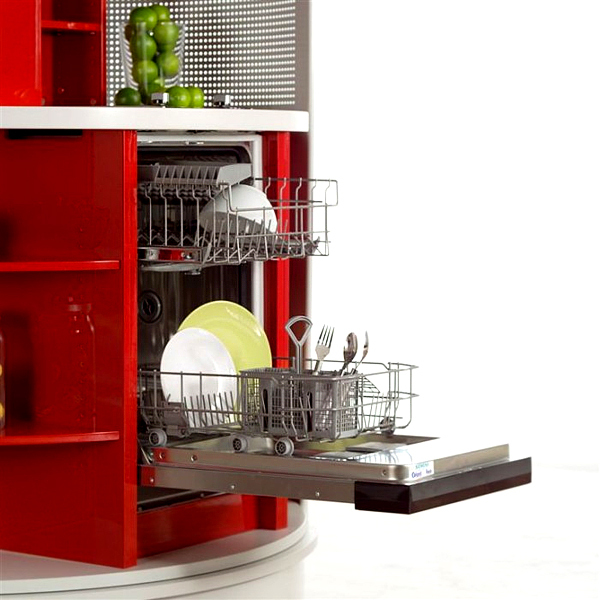 Optionally, you can add a machine for washing dishes and hood. 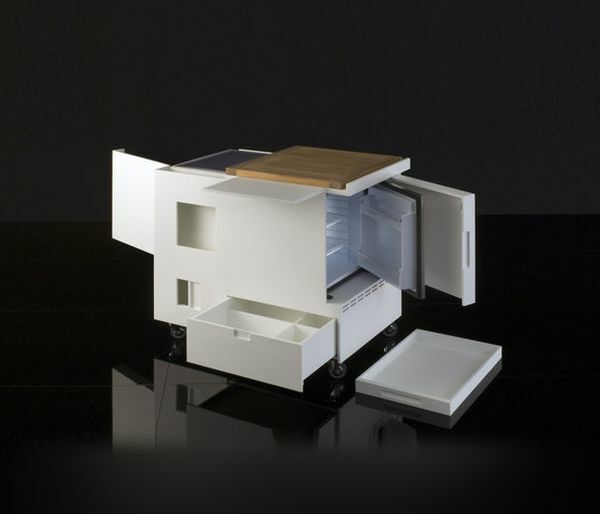 In this compact structure. 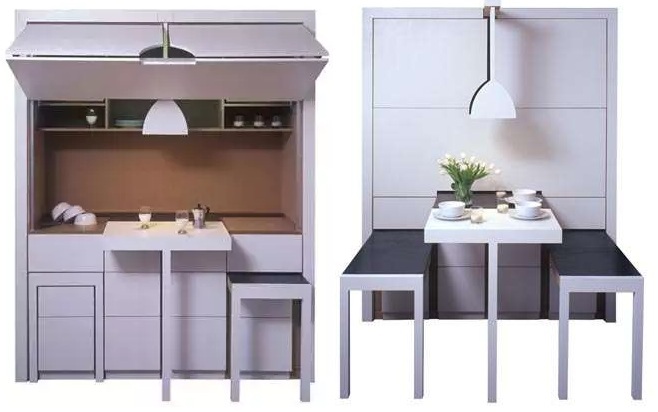 Outwardly, it looks like a work area, which you will unfold to get an excellent dining room for four people. 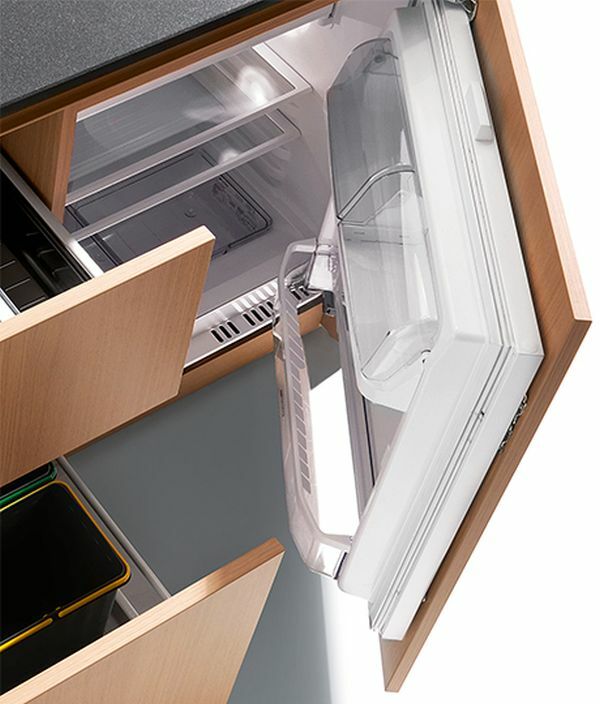 Designers have created this device, allowingcustomize it according to your needs. 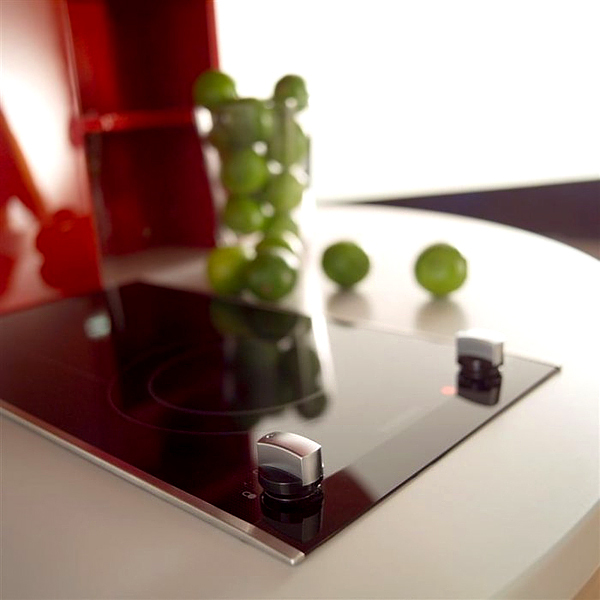 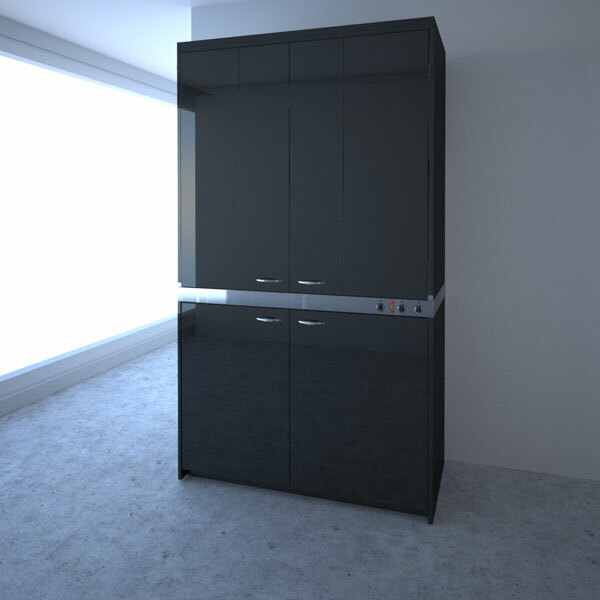 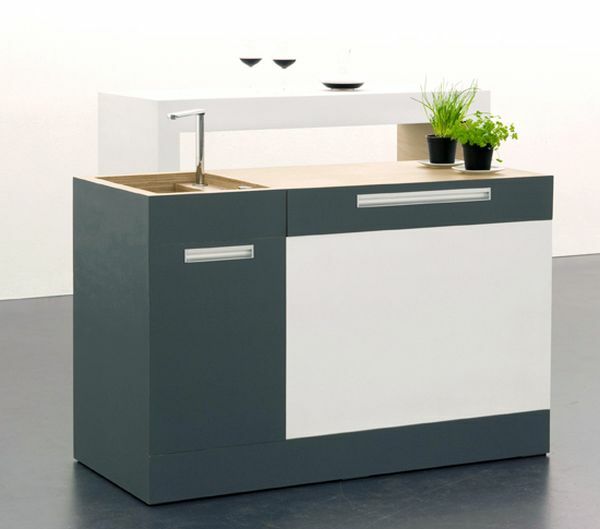 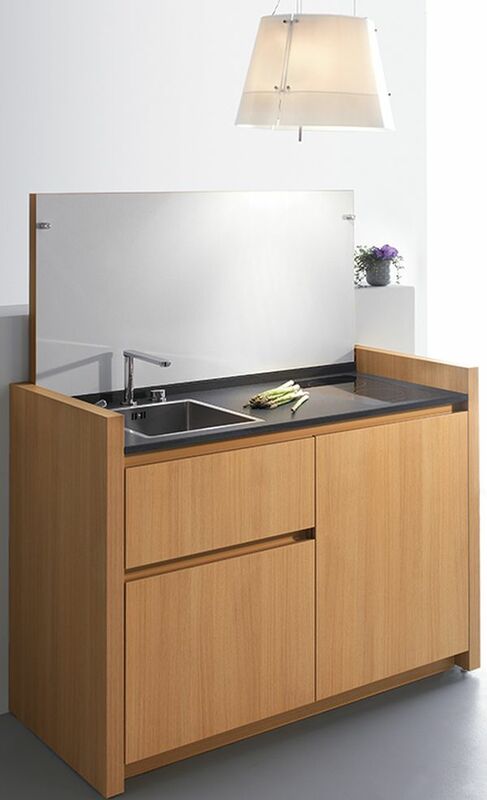 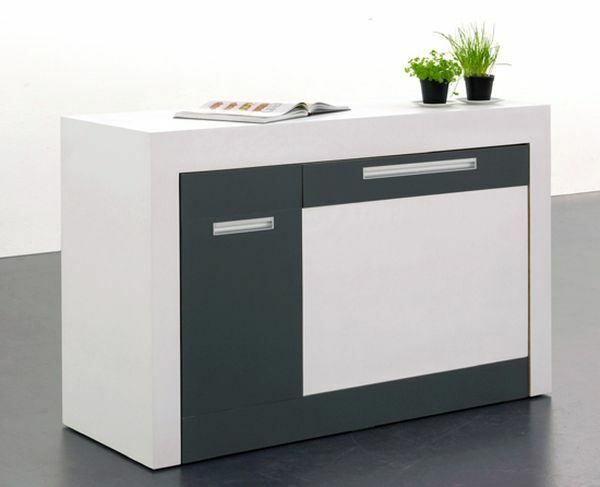 The whole unit is assembled in 1 m2 and consists of 2 models that are converted into a spacious kitchen surface. 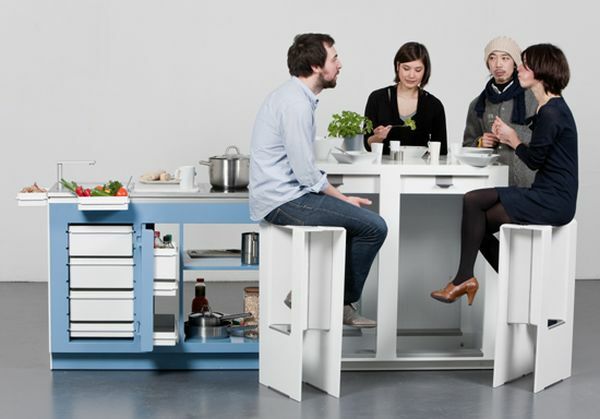 The magnificent project - Small Type, prepared by Kristin Laass and Norman Ebelt, takes up very little space and, if necessary, easily becomes an additional dining area. 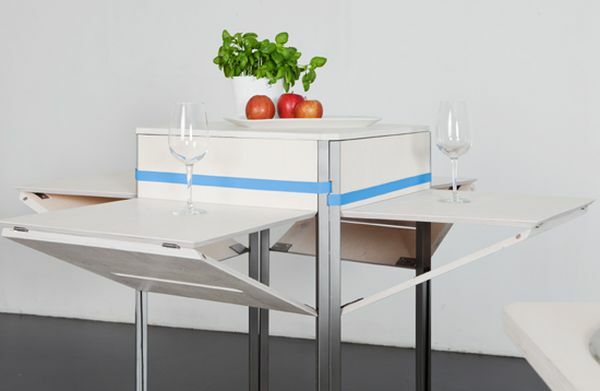 The mobile device, designed by Maria Lobisch and Andreas Nather, combines all the necessary elements that are held with the help of special seat belts. 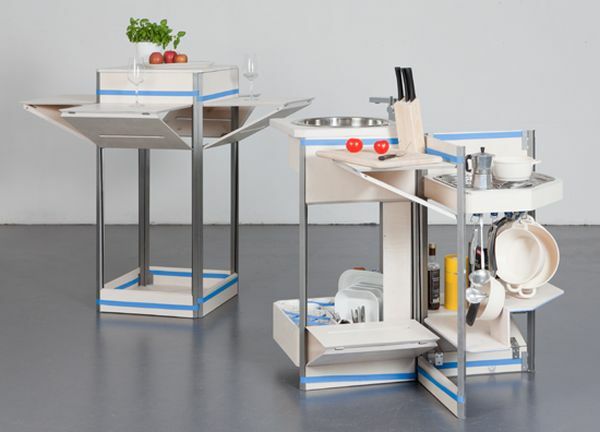 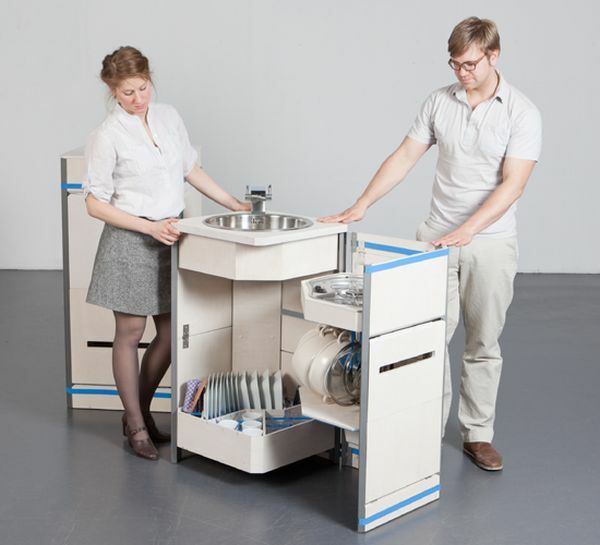 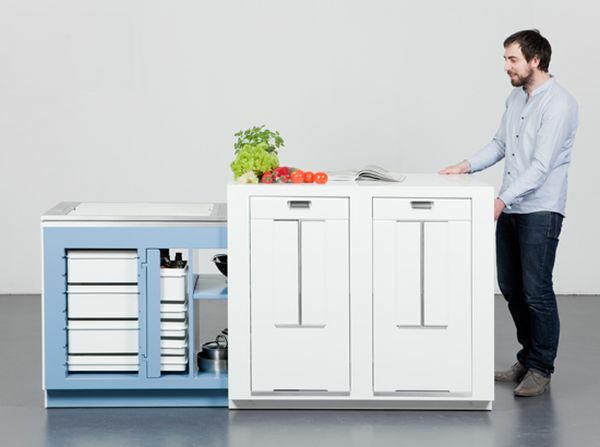 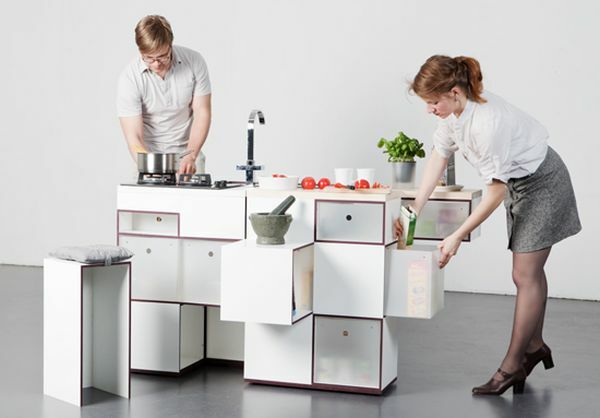 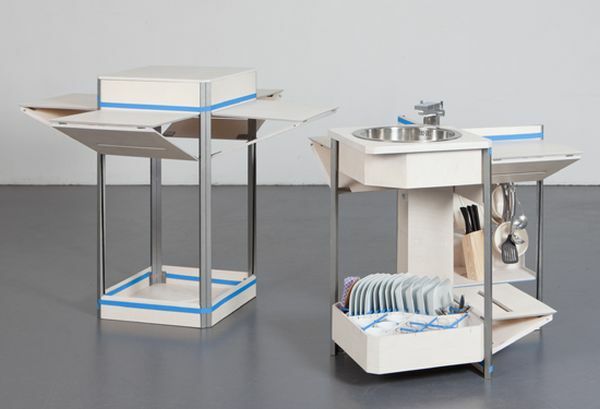 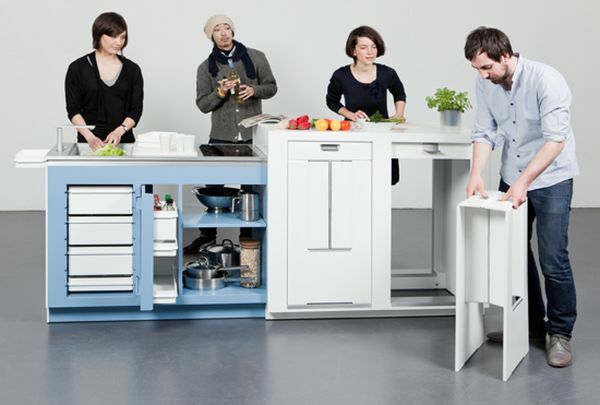 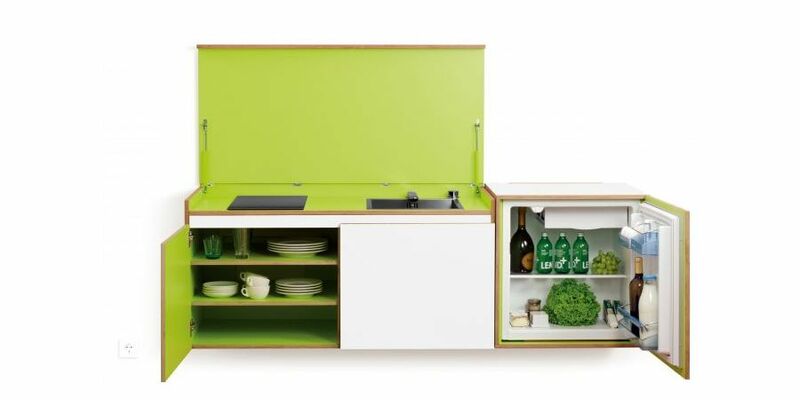 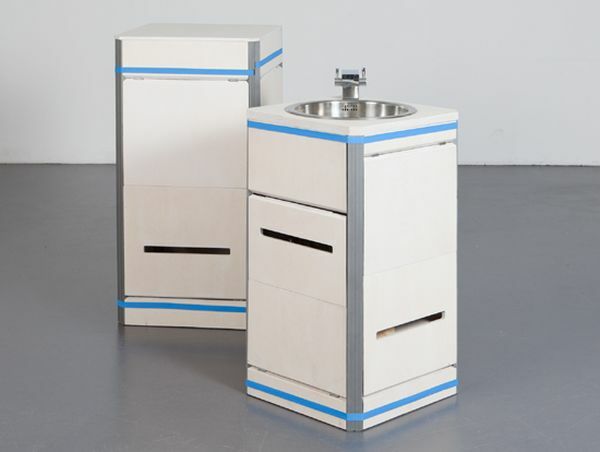 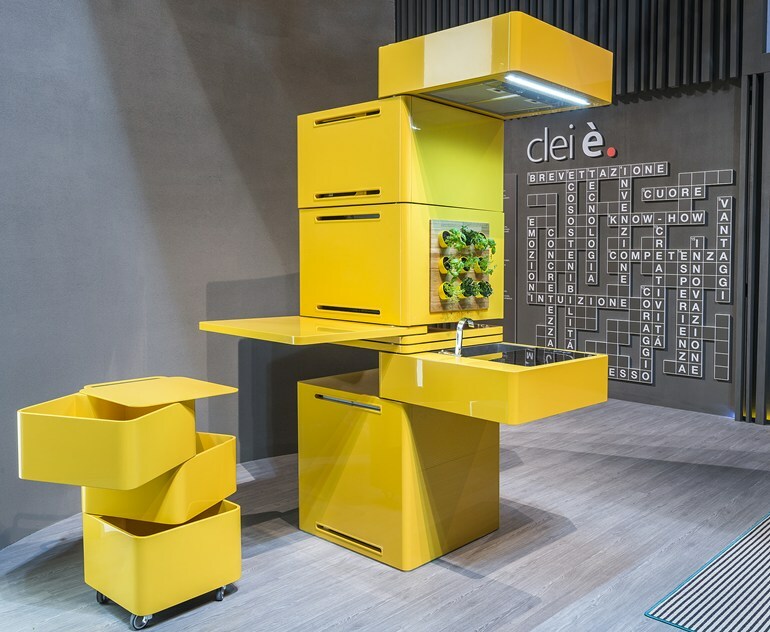 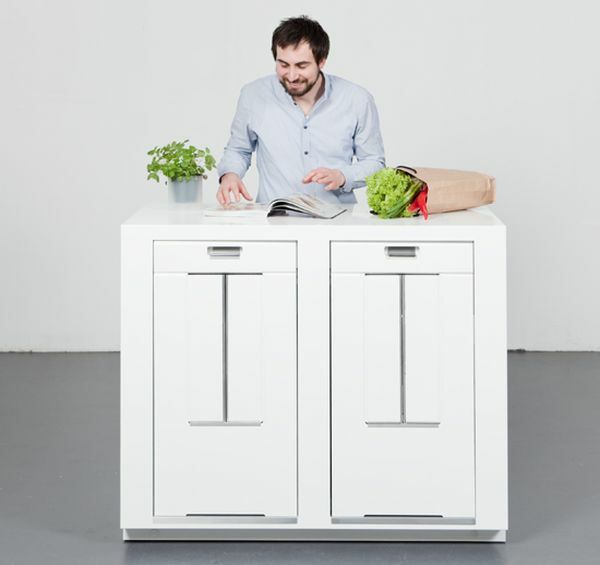 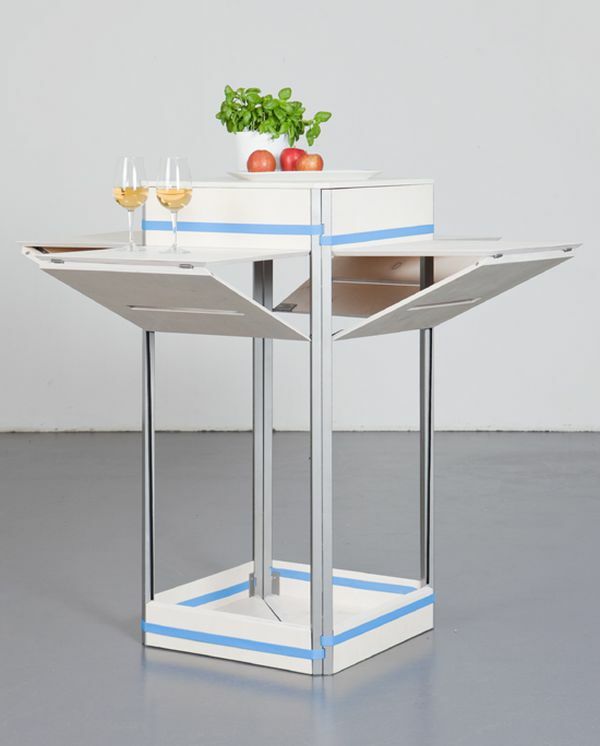 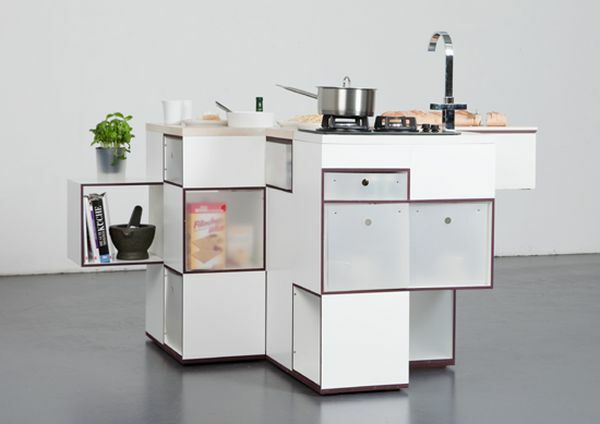 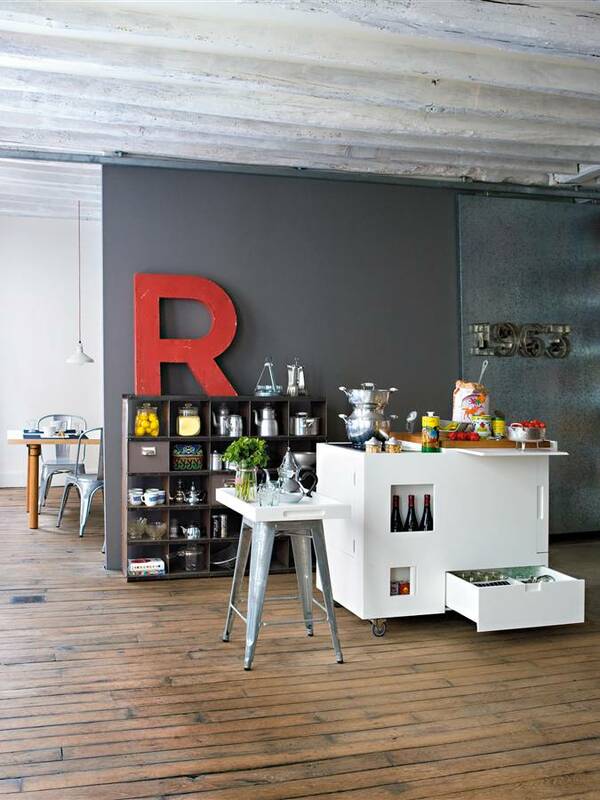 Folding furniture, made by Atelier OPA, has all the functions of a modern kitchen space. 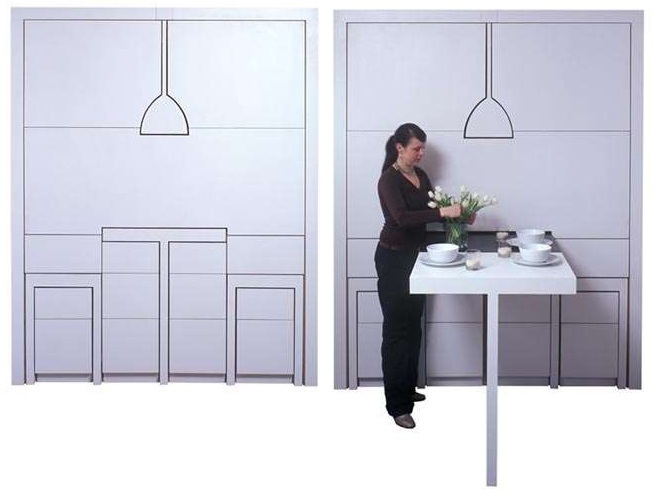 It will fit even the tiniest room. 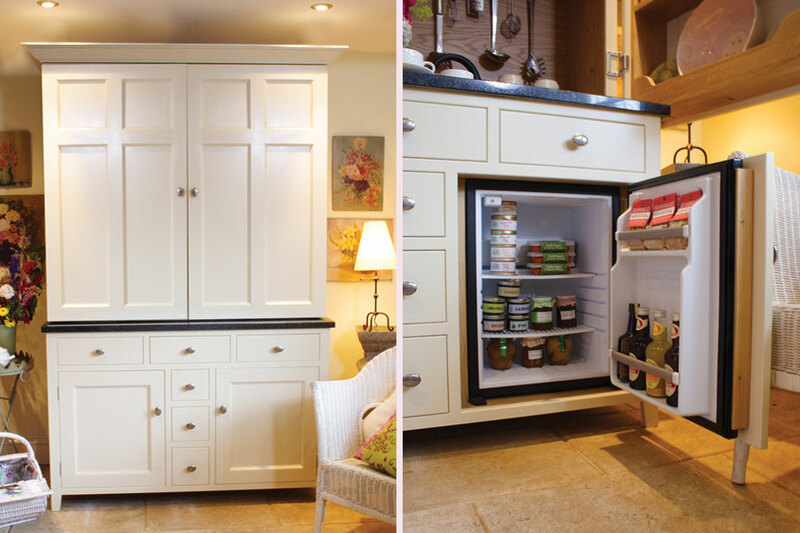 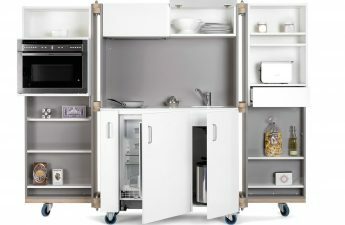 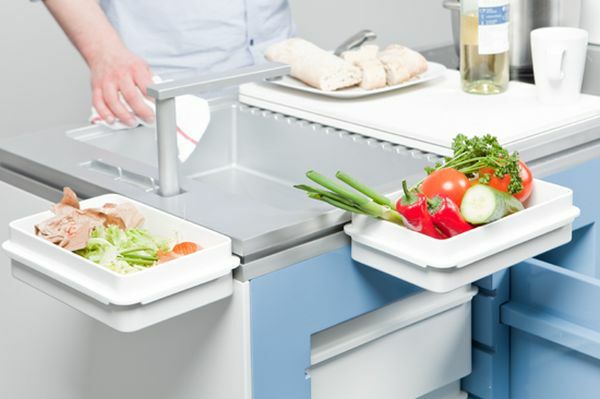 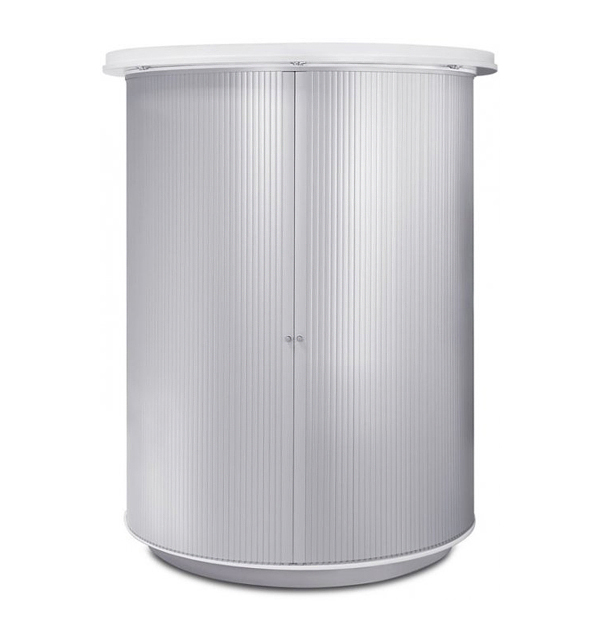 , made in the shape of a cart, reasonableequipped with compartments for saving various items, socket, cutting board, heating unit, pull-out tabletop and mini-fridge. 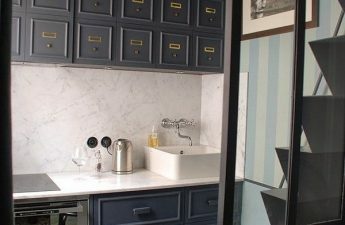 Try to find all these items! 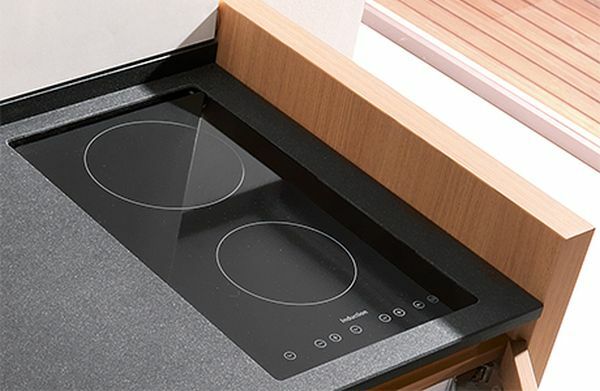 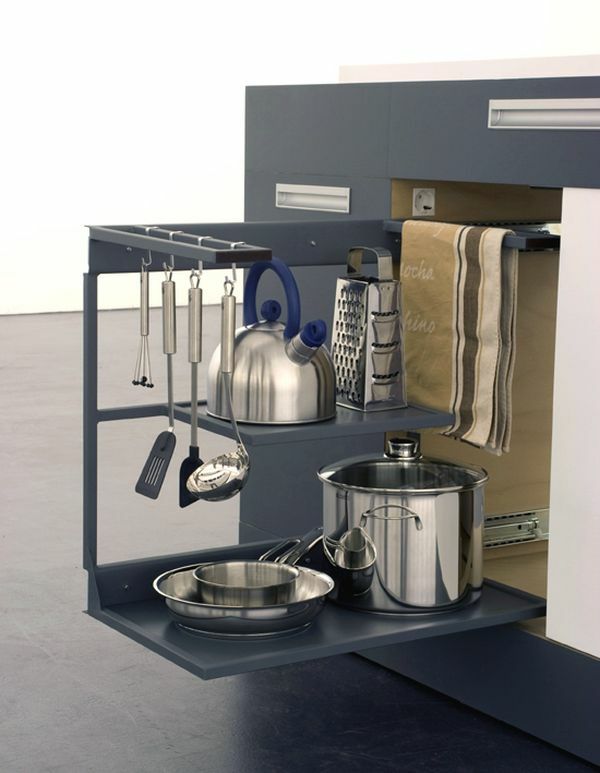 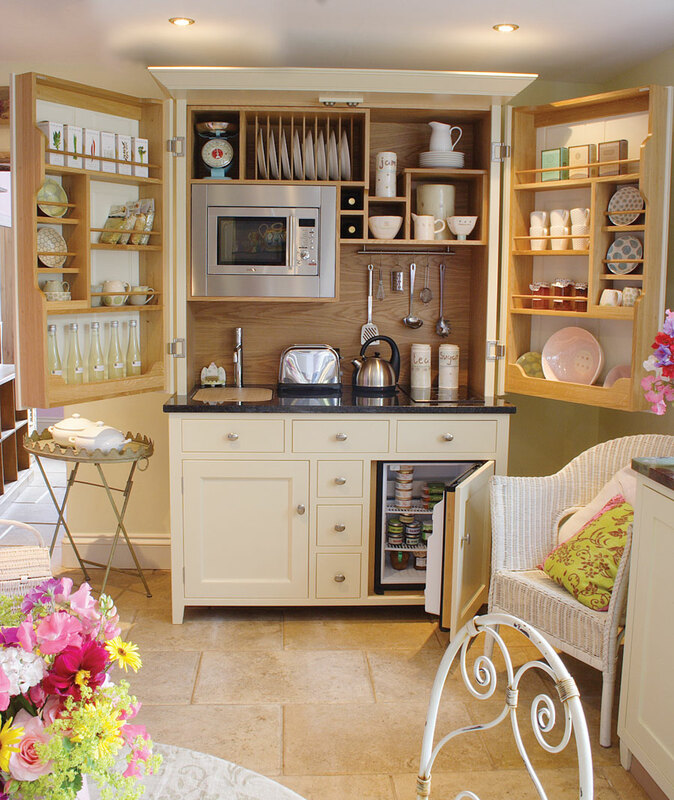 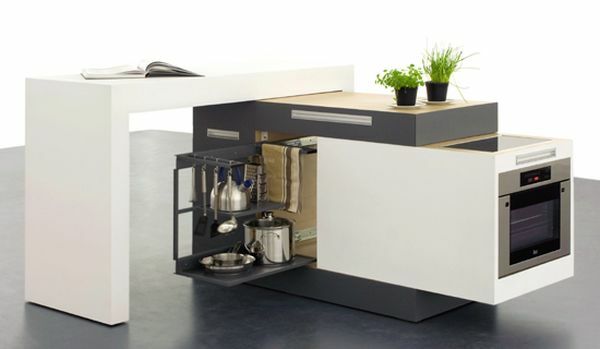 Here is another great solution to the problem.equipping your little kitchenette. 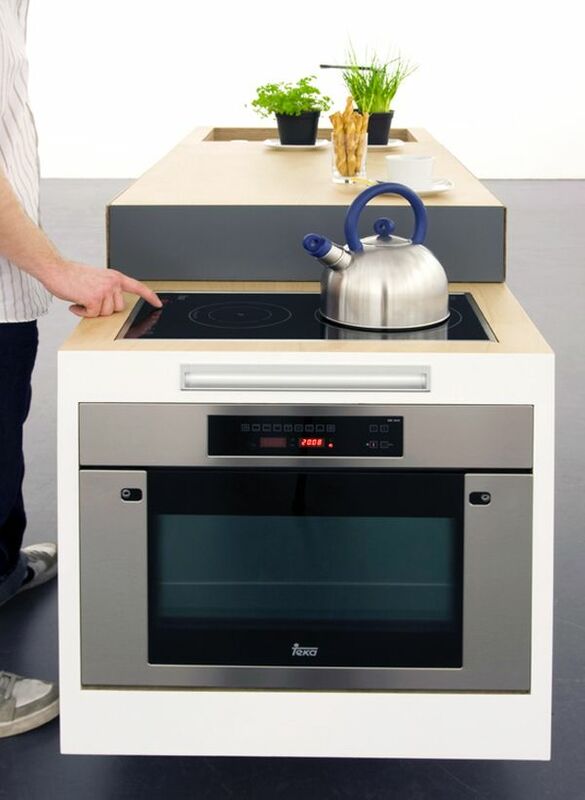 This is a set of home appliances and multifunctional departments. 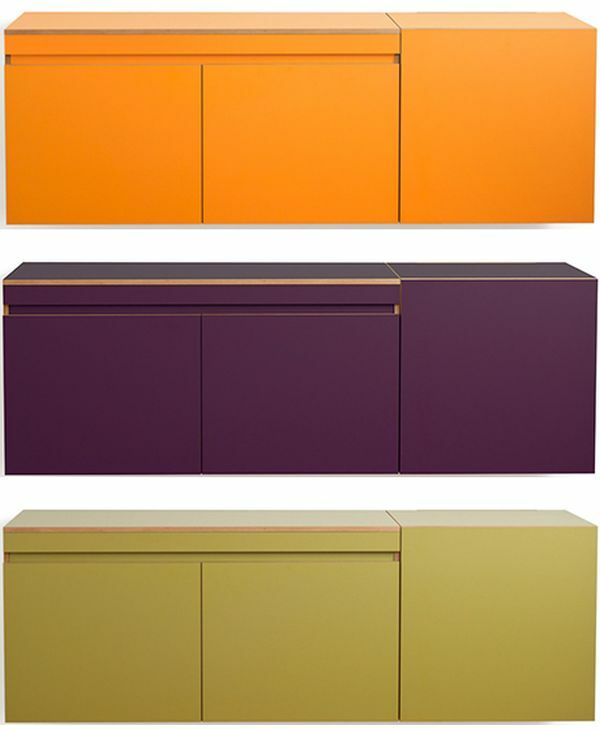 A wide range of colors and shapes allows you to fantasize and amaze others. 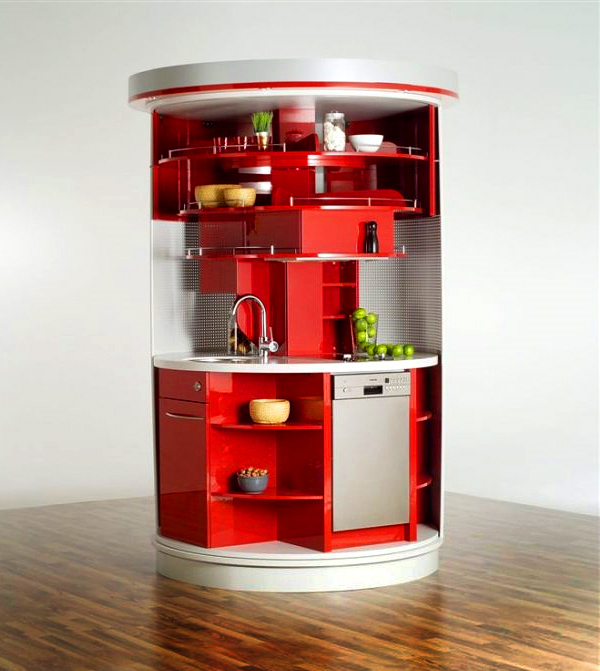 Classic design will appeal to conservative individuals. 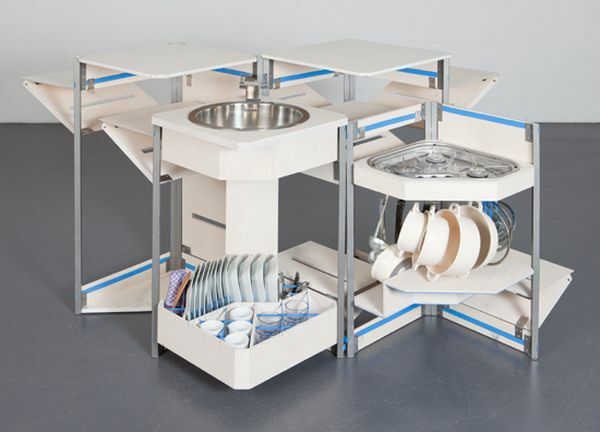 The Oma’s Rache is impressive. 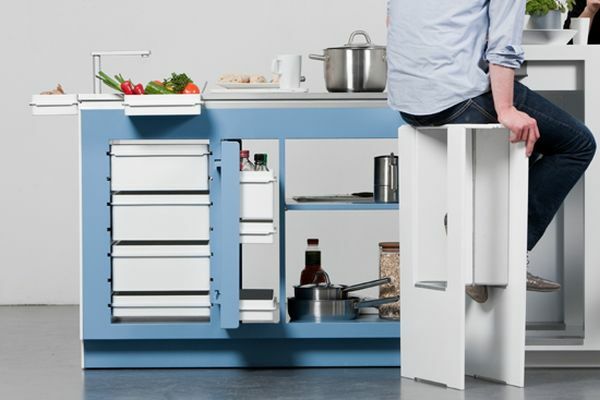 It just folds into the wall. 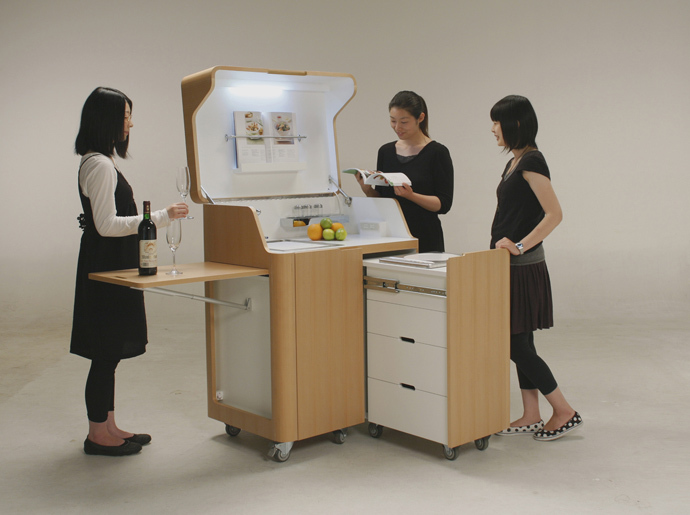 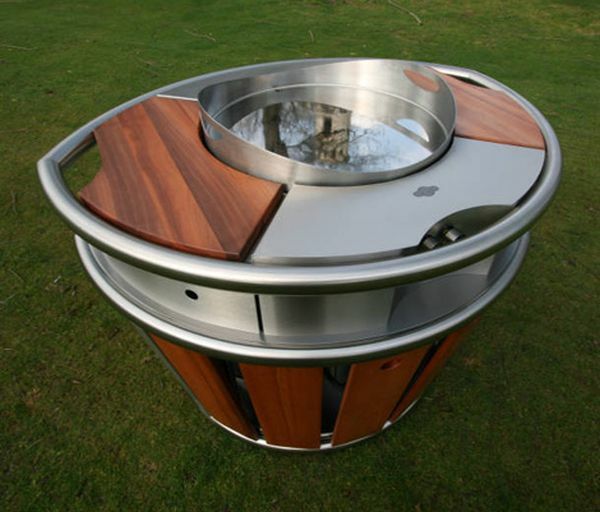 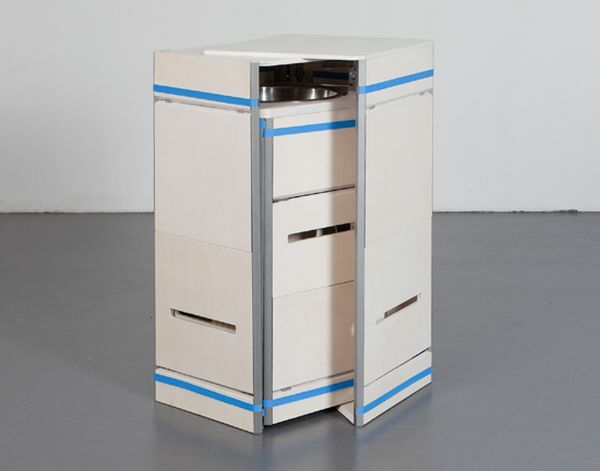 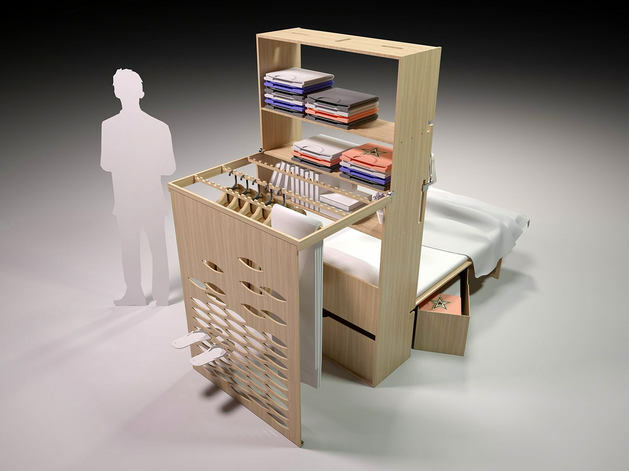 Pressing the button extends the table, 2 chairs, a lamp and built-in wardrobes. 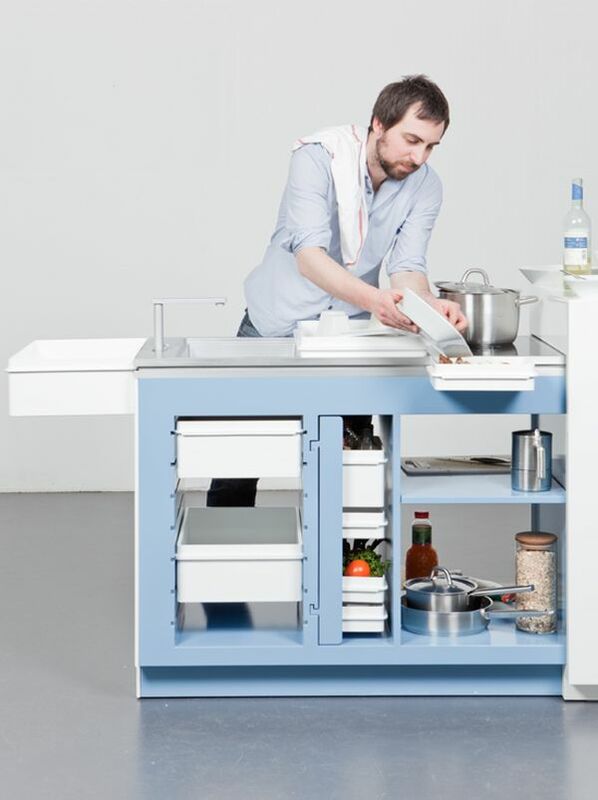 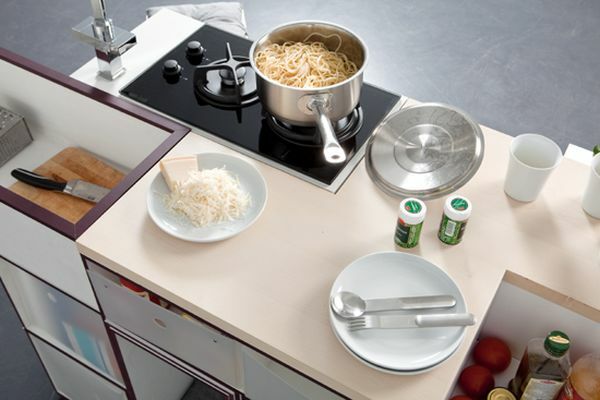 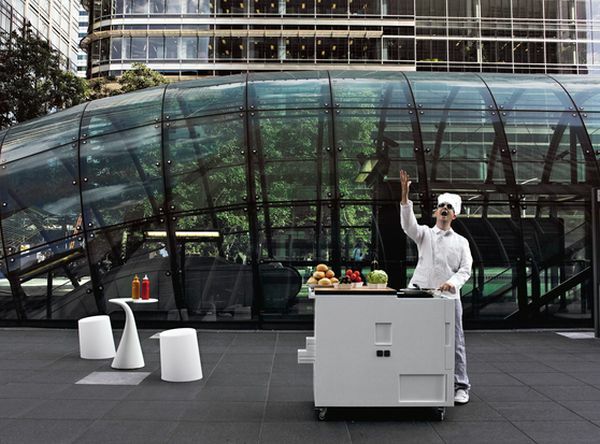 Ecooking is a modular concept designed to save space. 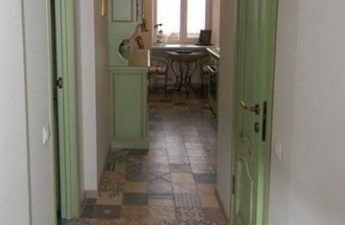 Her picturesque tones will dilute the severe tension in any room. 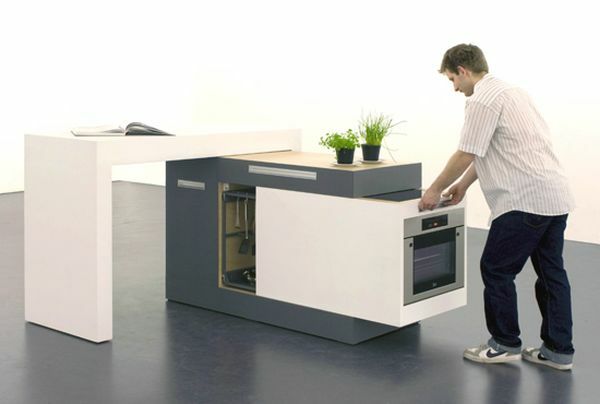 There are times when you just need to take your kitchen with you. 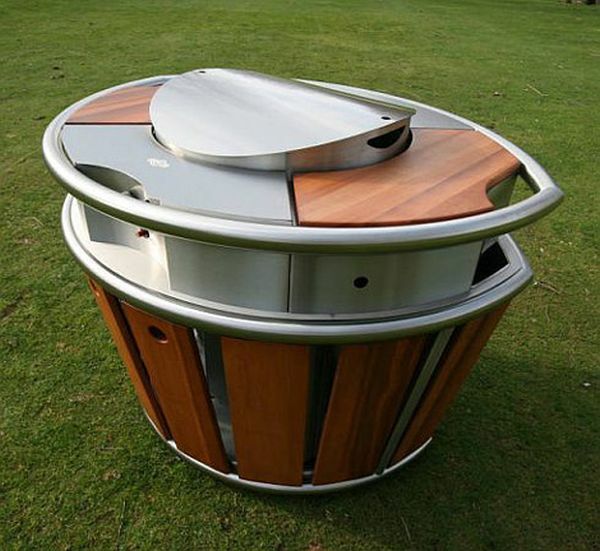 Dreams are real - Calanc can be equipped in the yard.